Mary Sue has more than 25 years experience teaching Pilates and movement fundaments in therapeutic, fitness, and performing arts settings. After graduating with honors in dance from Point Park University, she moved to Houston, where she performed with several area dance companies and theater groups. In 1983, she began her training as a Pilates instructor at Alan Herdman’s Body Conditioning Studio with 1st generation teacher, Alan Herdman, and master teacher Elizabeth Jones-Boswell. Mary Sue also studied with 1st generation teachers, Eve Gentry and Ron Fletcher, and other inspiring master teachers in her career have been Elizabeth Larkam and Karen Clippenger. While in Houston, with Sandra Lauffenburger, she co-founded Fitness Movement Training. They developed and presented certification reviews and continuing education courses for the International Dance Exercise Association (IDEA) from 1987-1991. Mary Sue began a lasting interest in the therapeutic application of Pilates in rehabilitation, injury prevention and maternal fitness. 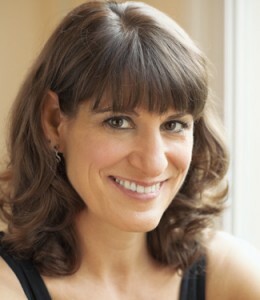 She has created and implemented hospital-based fitness programs and pre- and post-natal fitness programs for several hospitals, and has worked with physical therapy and athletic rehabilitation clinics, as well as the Houston Ballet’s Body Conditioning Studio, to integrate the Pilates method with conventional rehabilitation practices. Fueled by an insatiable curiosity about anatomy and biomechanics and a life-long love of dance, Mary Sue has pursued independent study in other movement disciplines including Bartenieff Fundamentals® and The Feldenkrais Method®. 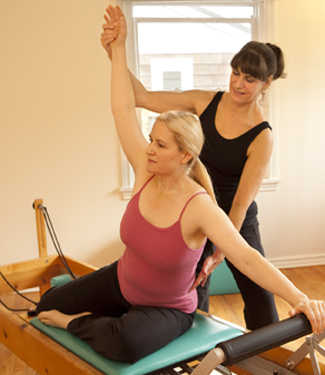 Mary Sue founded Bodies in Balance, Seattle’s first commercial Pilates studio, in 1992. In addition to teaching private clients, she directed the therapy and conditioning facility at the Pacific Northwest Ballet. She has continued her collaboration with physical therapists, occupational therapists and dance and sports medicine specialists. Mary Sue is certified by the Pilates Method Alliance® and holds memberships with the International Association of Dance Medicine and Science and the International Dance Exercise Association. She has taught workshops and been a guest teacher nationally and internationally. I have been fortunate to share many patients with Mary Sue as she has a therapeutic aspect to her practice. Many times she has been able to identify problems that many others have missed and helped many with their exercise program rehabilitation. She is thoughtful, energetic and a pleasure to work with. Mary Sue is highly skilled at assessment and is able to apply a tremendous knowledge base in how the body functions and has an intimate understanding of how each body part influences another. I learned multiple techniques and strategies to strengthen my knee and dramatically reduced my chronic knee pain. I first worked with Mary Sue when she taught Pilates at Pacific Northwest Ballet. I was a principal dancer at the time using Pilates as an adjunct to my training and for rehabilitation from an injury. Her assistance as an instructor in my rehabilitation was instrumental in returning me to my former level of performance. Copyright © 2017 Bodies In Balance Therapeutic Pilates. All Rights Reserved. The Magazine Basic Theme by bavotasan.com.